Hello! My name is Saphire and I’m interning at the Marine Discovery Centre in Landaa Giraavaru. I’m 25 years old and recently graduated from my Master’s degree in Marine Environmental Management from the University of York (UK). Before that I did my BSc in Coastal Marine Biology at the University of Hull (Scarborough Campus). I’ve been here in the Maldives for 1 month now and I’m having a fantastic time and learning loads. I’ve spent time learning about the different aspects of the Marine Discovery Centre: the turtle care, the Fish Lab and about the coral frames. 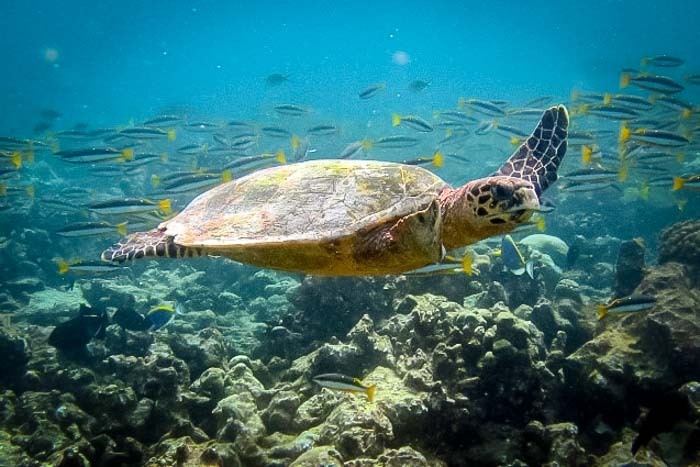 After shadowing a few times to learn the ropes, I am now leading turtle safaris, guided adventure snorkels and dolphin cruises for the guests. My days start at 9am, feeding the turtles, cleaning the turtle pools and helping Carla in the Fish Lab. When I arrived, there were four Olive Ridley turtles in the rehabilitation centre: Taco and Juanita who have both been there for a year now, Chomper who arrived in January and Indra who had only recently arrived. She was a very young turtle and was healthy apart from pooping plastic. Due to her young age, she was sent to Kuda Huraa for rehabilitation. My second day was very busy, as we received three new turtles: Varu, Lily and Shaaru. Varu is missing one flipper and has some injuries to her shell; despite this, she settled in well and started eating from day one. Lily is also missing one flipper and has injuries to her shell, but she took longer to settle in and didn’t start eating until she had been here for almost a week. Shaaru is missing one back and one front flipper and is yet to settle in; she will only eat live crabs and isn’t interested in the fish. Last week we received a turtle that had been found in a ghost net, however, she still had all four flippers and was in good health. We named her Taissya and kept her only a few days to feed her up so she had lots of energy, and then we released her on 3 August, which was exciting. In the afternoons, I usually lead the turtle safari or guided adventure snorkel. So far, I’ve seen at least one turtle on every turtle safari! If I’m not doing an excursion I help Simon with our Reefscapers coral frames. At 5pm every day, guests visit us to watch the turtle feeding, and ask questions about their health and biology. 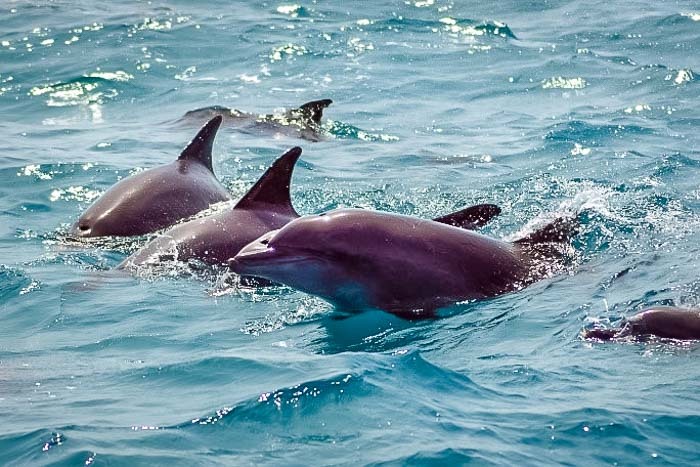 There are also dolphin cruises throughout the week, and so far I’ve seen dolphins on all the cruises I’ve been on… which is great! On the dolphin cruises we try to take photos of their dorsal fins so that we can identify them by the unique pattern of notches on their fin. Identification software then compares the fin to photographs already in the database to check for a match. If there is no match, we visually compare the fin to those in the database to double check, and then add the fin as a new dolphin if we don’t find a match. I enjoy doing the dolphin ID and then looking out for dolphins I recognise on the cruises! On Wednesdays, it’s turtle care day where we take each turtle out, weigh them, measure them, clean all the algae off their shells like cleaner fish would, and then treat their wounds. I’ve learnt a lot about how to treat wounds and how to administer fluids and antibiotics. I finish at 6pm, and in my free time in the evenings I like to do yoga on the staff beach. On my day off, I have been invited to join the manta research boat with the Manta Trust. 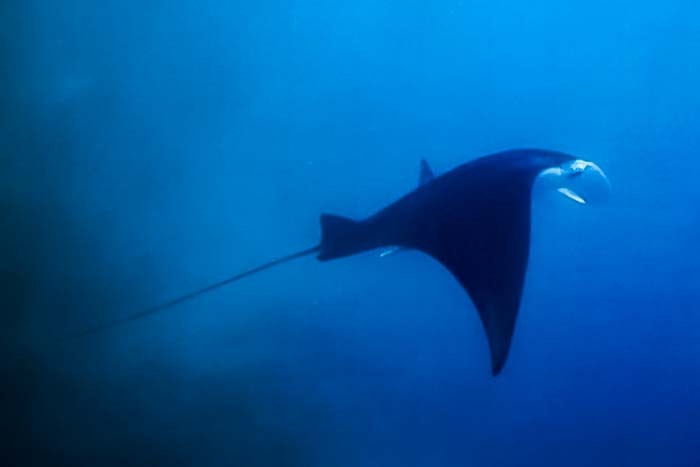 They visit different sites to check for mantas and if they see any, jump overboard to try and take an ID photograph. So far, I’ve only seen one or two mantas together, but on other days it’s not uncommon to observe 30 to 50 mantas at a time! Hopefully I will get to see that in the coming months.